Personally, video games with an interesting concepts are very compelling before I even push power. Something unique can get me interested in title that I don’t particularly enjoy the gameplay style but will have a warm place in my heart for what the game is trying to accomplish. 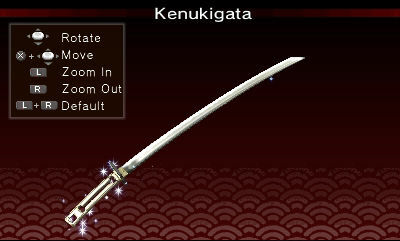 This is the case with Weapon Shop De Omasse from Level 5. Role-playing games are pretty standard these days. We all know the concept, you collect items hack and slash to build up points to upgrade your weapons, to win more battles to …rinse-repeat. Weapons is where the game takes focus. You are that guy working at the weapons shop upgrading the heroes weapons. The gameplay is really nothing special. I’m not somebody that enjoys rhythm games to begin with but the simplicity is addicting. I did pass the off the 3DS to to someone I know that does enjoy these type of games and her criticism was that it can be very repetitive and not interesting on its own if it was not for the excellent concept for this game. 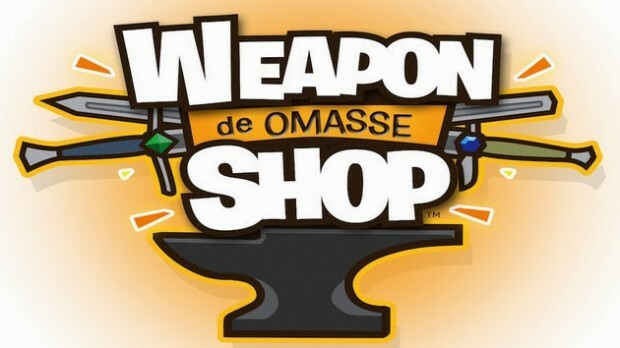 That “concept” is what truly shines in Weapon Shop De Omasse and creates something really interesting. The concept although very uniqe just entertains the thought of wishing I was playing a different kind of game. Perhaps some sort of simulation strategy game where I was the owner of a item shop that I’d have to go out, find the items and avoid conflicts etc. Now that would interest me more. But I feel if you enjoy the nature of rhythm oriented games this is a perfect title to pick up play for a while and continue along the interesting storyline. The issues I have with it are completely personal. Truly I’ve never encountered a game exactly like this in concept that you are not exactly the hero but helping the heroes out. I’ve been told that there is a Final Fantasy game that that is similar to this but this concept (for me) was completely unique. I hope more genres of games attempt something like this because it could really takes a tired concepts of games and add new interesting wrinkles. 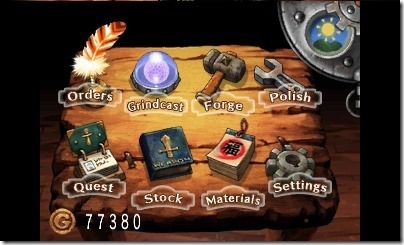 Weapon shop is a very fun in-depth world with a unique story and concept wrapped around a very simple game. Rhythm games might be for some people but it wasn’t necessarily something I personally enjoyed that does not mean that the game was not a huge success at everything it was trying to achieve. I was not the best audience for a game like this. But good is good and I need to give credit where credit is due. So if you’re into rhythm games and into RPG’s at $7.99 this is a must play and something you will enjoy while giggling and smiling the whole way through.